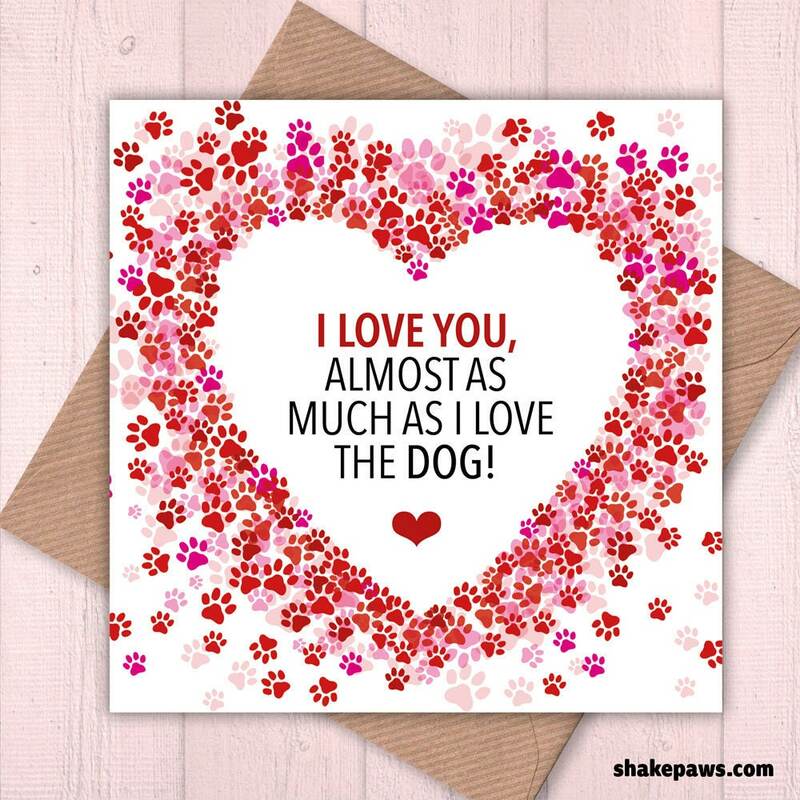 Valentine's card, Birthday cards, anniversary cards, funny cards, humorous cards: I Love You Almost as Much as I Love the Dog! A cheeky, funny card suitable for numerous occasions, from anniversaries to birthdays, for a dog-loving partner, friend or family member. Pack includes a quality brown ribbed envelope and the card itself is blank inside for you to add your own message – and maybe a paw print or two! Please bear in mind that we are based in the United Kingdom.